An intensive, deep conditioning hair treatment formulated with 95% naturally derived ingredients. Delivers an optimal blend of transformative hair nutrients, such as B-vitamin complex, rosehip & avocado oils, collagen, and silk to restore and replenish damaged hair to a shiny, healthy & lustrous state. 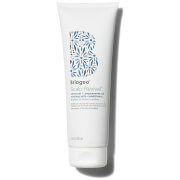 No parabens, silicones or phthalates. Good for those suffering from dry, damaged, breaking or lifeless hair caused by chemical or color treatments, heat tools, or excessive sun exposure. 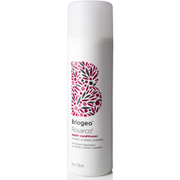 No sulfates, parabens or silicones. After shampooing, massage Don't Despair, Repair!™ into the hair, ensuring the conditioner is evenly applied. Leave in for 3-5 minutes before rinsing. For even deeper conditioning, cover the hair in a plastic cap to retain moisture while sitting under the dryer for 10 minutes, then rinse. This is a brilliant hair mask -- really adds moisture, softness and shine to my thick, long, colored hair! I've tried hundreds of salon brands but this one has become a staple of mine! The BEST mask I've tried!! Wow - I've been reading a ton of great reviews about this mask and finally decided to purchase it. This mask has literally transformed my hair. My hair had been extremely dry and brittle from bleaching and this mask has transformed my hair to soft, silky, and shiny! My hair has NEVER looked this great and several friends at work asked me what I've been doing to my hair. I highly recommend! Had high hopes for this as a mask for dehydrated, dry, highlighted hair. It was not easy to get it through my hair, even with just my fingers. It did not detangle; tangles were actually worse. It was drying, and made my hair like straw. My hair was worse after using it, and I tried it several different ways: more product, less product, more sitting time, less sitting time, etc.